4/19/19--The Annual Meeting for Faircloud was held on March 11th. Meeting minutes are posted below. 3/9/17--The RV Lot is available to anyone, owners and renters, living in the Faircloud subdivision. Landlords not living in the neighborhood and relatives of homeowners are NOT allowed to use the facility. Thank you for your cooperation regarding this. 8/4/16--It has been reported that many Faircloud residents place their trash containers on the sidewalk for pickup. These interfere with people who want to stay safe and not walk in the street--especially with children. 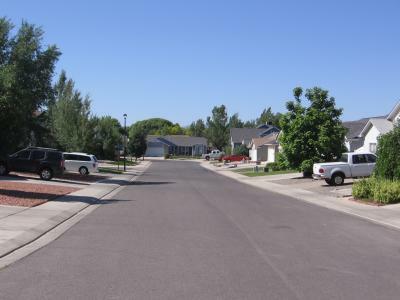 The City of Grand Junction urges residents to put their trash cans in the gutter area for pickup.